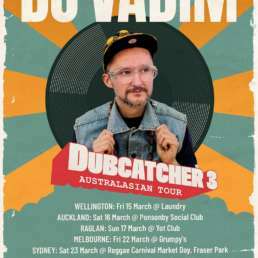 Adrians Wall hails from the UK and in late-2011 moved to Australia, bringing his formidable sound system with him. He started collecting records at a very young age, acquiring a wide spread selection covering many genres, before getting heavily into ska in his early teens. After going to the legendary Notting Hill Carnival in 2007, Adrian discovered sound system and Roots Music after seeing Channel One Sound System and being blown away. That fateful day was the beginning of digging and collecting roots vinyl and building the sound system. Adrians Wall inaugural dance took place in April 2008, and the sessions continued to grow before a regular night was established at the Hobgoblin in his home town of High Wycombe. These Hobgoblin sessions saw guests such as Nick Manasseh, Bush Chemists, Dubateers, and Charlie P pass though on a monthly basis, and culminated in the first three ‘Forward Ever’ sessions. These consisted of two sounds in one arena and saw him string up his sound alongside Channel One Sound System, Aba Shanti I and Operation Sound System. Adrians Wall also provided the sound for one of the stages at the 2011 One Love festival alongside Saxon and Instrument of Jah, which saw artists such Congo Natty, Bush Chemists, Top Cat and Tenor Fly coming to play on the set. Having achieved all of this Adrian decided to move to Melbourne, Australia, and packed up the sound and shipped it over with him. 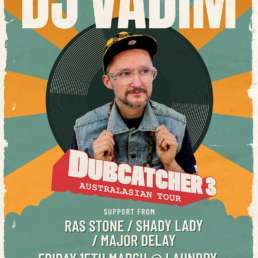 Once arriving in Melbourne he linked with Derek from Heartical Hi-Fi and took part in the first ever event in Australian history with two sound systems in one room playing tune fi tune and dub fi dub. Since this historic event, Adrians Wall has taken part in dances with many other sounds from Melbourne, and has established a monthly sound system residency at the Horse Bazaar. 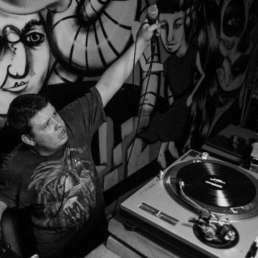 They are now getting ready for the first ‘Forward Ever’ to happen in Australia, featuring four of Melbourne’s sound systems playing together over three rooms at the Noise Bar. The Horse Bazaar sessions take place every third Saturday, with special guests each month. Forward Ever is set to take place on the 31st August at the Noise Bar, see the Facebook event for full details. Respect to Adrians Wall for his Top Ten tunes for July 2013. This is one of the first roots tune I ever bought on 7”. I got this one from Channel One’s record stall the first time I went to Notting Hill Carnival, and the first time I heard sound system playing reggae music.Since that day, many hours have been spent learning, building, and collecting, to be able to play sound system the way I heard it that day. This is one of only two tunes recorded with Steve Baswell on vocals and both are crucial for any roots collection. An absolute killer of a tune, this is a re-cut of Dandy Lions’ ‘Vibes’, produced by Russ D at the Backyard Studio. I first heard this one on dubplate when Aba Shanti ran it at University of Dub late-2008, and it was the first tune I ran on the sound when I set it up for the first time after it had arrived in Australia. Also look out for the Dixie Peach cut out on a 12” as part of the Jah Waggys Dubplate series. Coming from the Roots Tribe label and produced by Tim out of Slimmah Sound from Holland, this is another piece of serious meditation music. The whole LP is of the highest quality both lyrically and production wise but this is the real stand out tune. There is also a horns cut out on a Roots Tribe 7”, but the real killer cut is the unreleased horns cut, which you can hear coming straight off the acetate when we play the sound. This one was and still is a true Aba Shanti anthem. Another Russ D production and as yet unreleased, this is also known as the Channel One National Anthem. 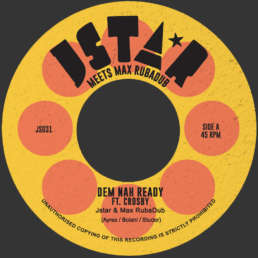 The vocal cut came out on an album by Colour Red called ‘Revelation Time’, along with a next vocal cut called ‘I Am On A Mission’, but the killer dubs are still unreleased and only heard coming direct off acetate. This was the first tune I heard from Dub Conductor, and it has some serious lyrics on top of a rough riddim. It is out on a 12” with Reality Souljahs’ ‘Stomp’ on the flip side. I have been running this on dubplate before it came out, and it is sure to shake any dance deep in the foundations. This is an absolute classic, it is hard to find UK production with such a stunning vocal and set of lyrics. Starkey does a great job on vocals and the melodica and dub pieces make this a heavyweight vinyl. It is one of those pieces I searched for ever since I first heard it. Oddly it is the only 33rpm 10” I have ever come across. I picked this up at a ska show in 2007 before I even knew what roots music and sound system was. Mungo’s were doing support for The Slackers, The Pietasters and Pama International, and I really dug their vibe, it was something I hadn’t heard before. I picked this up when it had just been repressed on a 10”. Now I have a special dubplate cut from Brother Culture, and the released Soom T and Top Cat cuts are ruff and tuff as well. This sees Earl 16 doing a re-cut of The Gatherers piece, originally cut at the Black Arc for Lee Perry. This version is produced by the Bombist and plays crystal clear with deep heavy basslines, and just sounds so good. I actually think it has got a better groove and dub than the original, and the Omar Perry on the flip side is also a cracking version. I have been running this on dubplate since 2010 and it finally saw release in early 2012. It is a massive tune with pin point production from David Judah. Again another tune with a big message in its lyrics and rough dub cuts. This is the first tune to come from our sound, produced in conjunction with Tim from Slimmah Sound. It is a one away instrumental made for the first ever dance to happen in Australia with two sound systems, when we strung up our rig at the other end of a club from Heartical Hi-Fi. Since then vocal cuts have been recorded from Prince Alla, Macka B, Dixie Peach, Reality Souljahs, and Melbourne’s own Apprentice. We are still waiting to finish all the dub cuts, and then it will hopefully see release on a 12” at some point. Currently this riddim is being run by a handful of sound systems including Iration Steppas, Channel One, Mungos Hifi, Lion Rockers, and Heartical Hi-Fi.